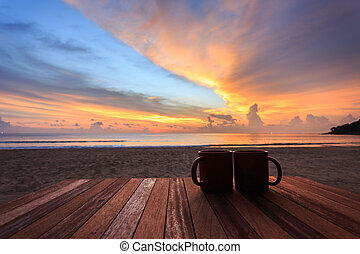 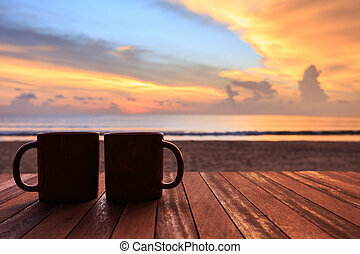 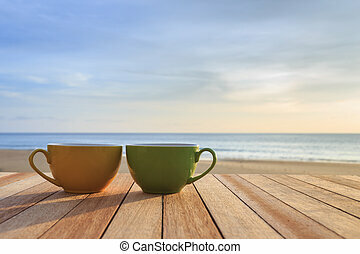 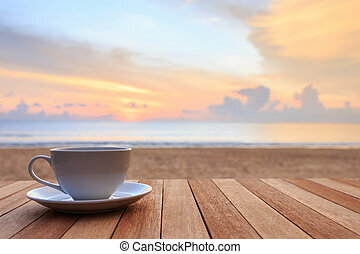 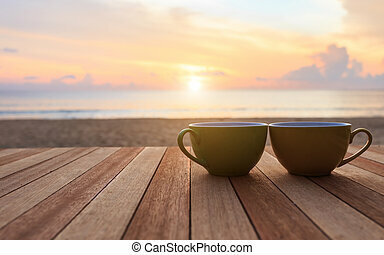 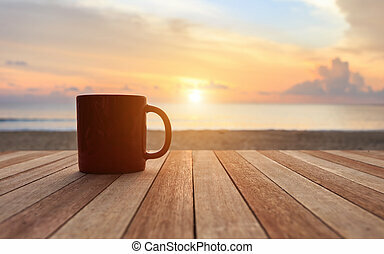 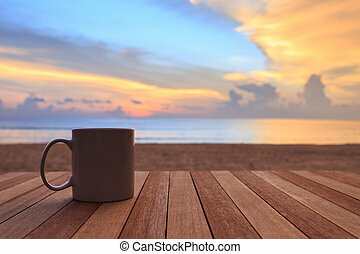 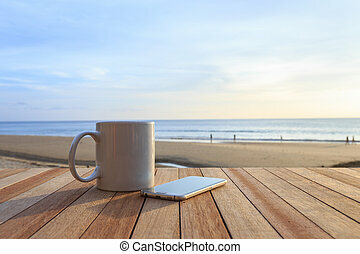 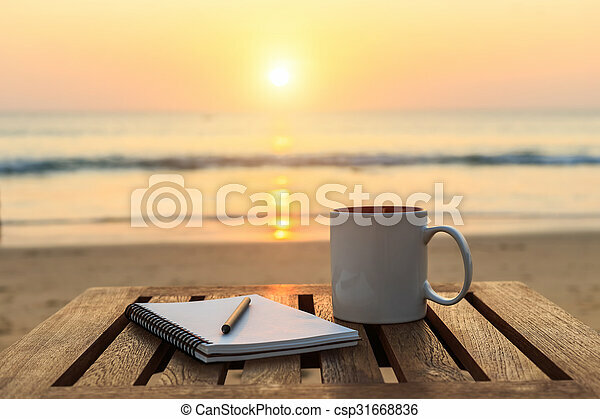 Coffee cup on wood table at sunset or sunrise beach. 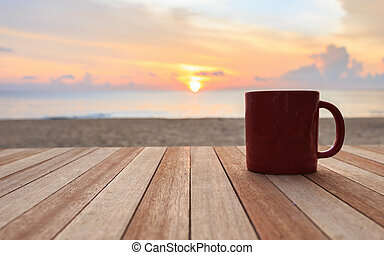 Close up coffee cup on wood table at sunset or sunrise beach. 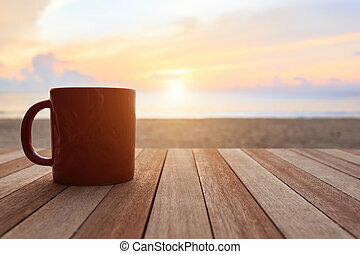 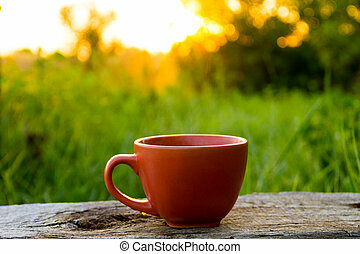 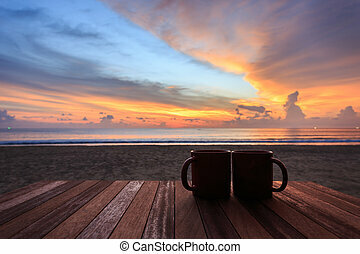 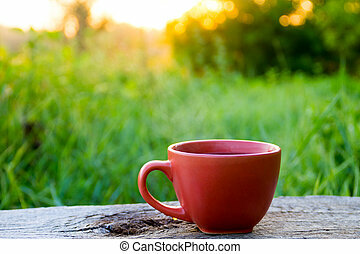 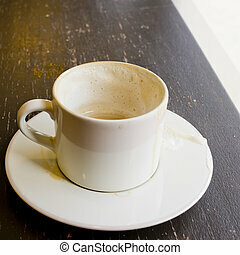 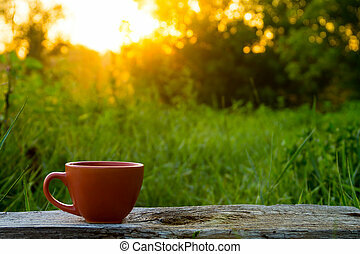 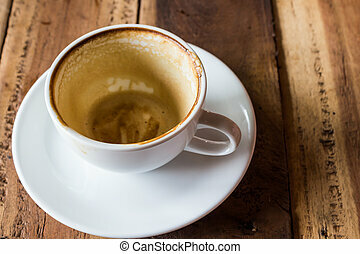 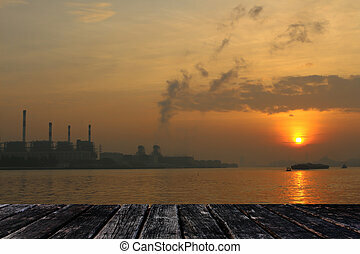 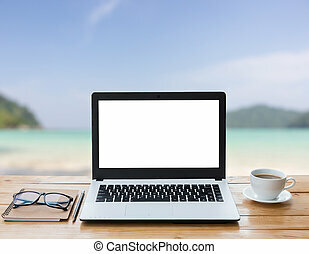 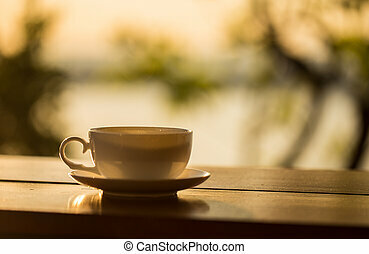 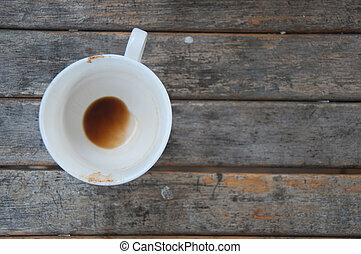 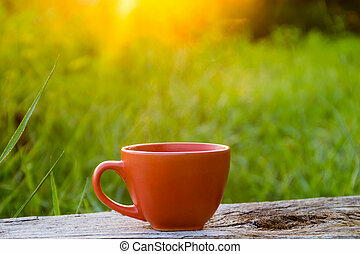 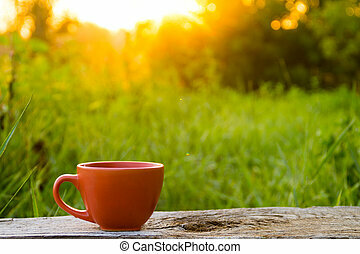 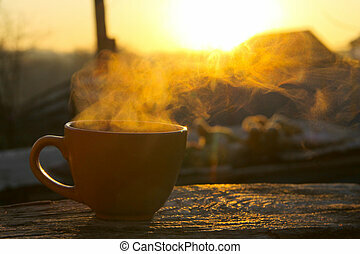 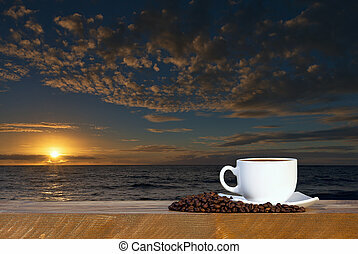 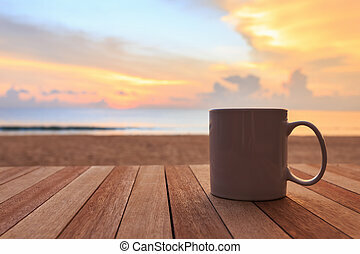 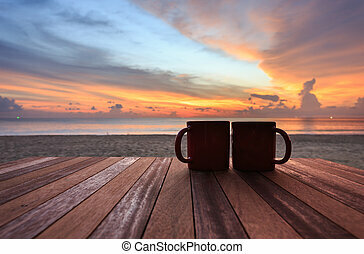 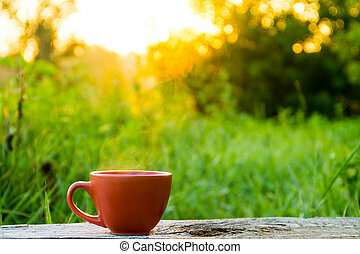 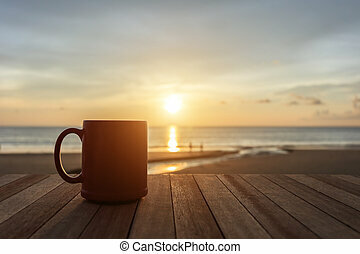 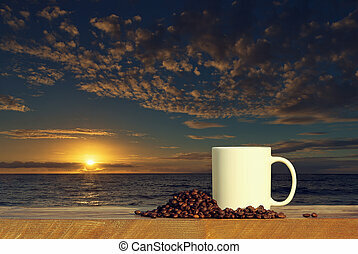 coffee cup with sunset background on wood table.